I currently own a PA32-300 Cherokee Six. Considering to buy an Aztec Turbo F for the following reason: full de-ice capability, little faster, safety of 2nd engine, + experience in multi engine. Concerned about the increased operating and maintanance cost. 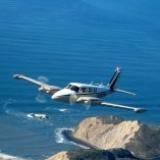 On what2fly.com I noticed the cost/NM for PA32 is around $.80 vs. Aztec $1.57? Any thoughts? Speed: I currently get about 130-140 TAS at 7000-9000 MSL. What is the cruise speed for Aztect Turbo F at 12,000 ft/normal cruise (15-16gp/hr/side). Trying to get a good sense how much speed I would gain from the PA32. 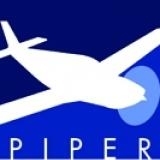 I can't provide any first hand experience but I was able to download (for free) the Pilots Operating Handbook (POH) for a non-turbo PA23-250 Aztec from this site: www.flyblocktime.com/pdf/OPERATION/PA23-250.pdf . I recommend that you download a copy of that manual to start the comparison between your Cherokee Six and an Aztec. I have owned a 76 turbo F model Aztec since Feb 2017 and have flown it about 70 hours. I see approximately 170 KTAS on 16 gallons per side at 12,000 at 70% power. Can't give you any solid feedback on maintenance costs since my Aztec, supposedly "fully renovated" in 2012 and maintained with an open checkbook by the prior owner, was a total train wreck and was in maintenance from April 2017 - October 2017 to get it right. Be very cautious for engine corrosion. Mine had 275 hours since overhaul on both engines when I purchased it. Overhauls done in 2012 by Signature Engines out of Cincinnati. At my 1st oil change in early April 2017 after 35 hours of flying, both filters were full of metal. Both engines had to be pulled for major repair....cam and lifters on both were corroded. The Aztec is a pleasure to fly......comfortable and solid. I have no idea which turbo Aztec you're considering but I want to make sure you have a good idea what a good Turbo Aztec is worth. I have seen some turbo Aztecs advertised at prices that are too good to be true. I ran some numbers using the "Vref" airplane evaluation program that is on the AOPA website. Vref cited a value of $105,300 for the following turbo Aztec. 1972 airframe, 5850 hours, both engines a 900 smoh, new paint, full de-ice, Garmin 530 W, HSI, STEC (Geneysis) 55 autopilot, ADS-B Out. Where are you flying that you want turbocharging? That capability ramps up the costs considerably and IMX, most people don't really need it. I have flown all of the Aztecs from C thru F. None however have been turbo. Personally I favor the E model or the very end of the F model when they changed the stabilator back to the original design. The early E models had a rectangular stabilator with external counterweights. I think Piper did this to try to keep the Aztec from pitching up like a startled horse when the flaps are first extended. That is about the only annoying issue with the handling of the aircraft and one that a pilot can overcome. IIRC, the "new" stabilator has developed cracking issues. The E model as more useful load than the F models as well. None of the Aztecs were certified for "known icing" rather are approved by Piper for flight into light to moderate icing, though this approval means little as there is no prohibition for flying any Aztec in the ice. Fortunately, the Aztec is one of the best aircraft in the ice and handle it better than many FIKI certified aircraft.